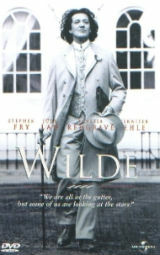 A film by Julian Mitchell, adapted from the biography Oscar Wilde by Richard Ellmann, and released in 1997. Wilde is a biographical account of one of Britain's most celebrated minds. Oscar Wilde is a family man whose phenomenal talents bring him great success as a writer, playwright, and poet in late-Victorian society. Privately he struggles with homosexual feelings, and once his true sexuality is revealed, his reputation lies in tatters. Victorian society criminalised homosexuality. After the genius is sentenced to hard labour for his supposed 'crimes', many former friends shun the Wildes. Upon his release, Wilde comes to rely on the more open-minded among his acquaintances. Ada 'Sphinx' Leverson is one of the few to stand by him during this difficult period.